Imagine being part of helping to make Canada an even kinder country. Well you can! Every kindness pledge counts. 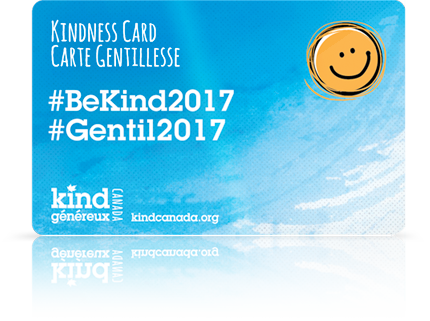 Please join Kind Canada and Canadians from coast-to-coast-to-coast by taking the kindness pledge today. 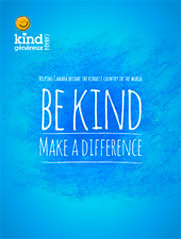 I pledge to be kind in thought, word and deed.